Your turn: It’s been more than six months since we launched the China Brief and we’d like to hear what you think. Share your thoughts in this quick survey (and earn the prize of our undying gratitude!). In this edition: Tension between China and Canada continues to build after the arrest of Huawei CFO Meng Wanzhou. 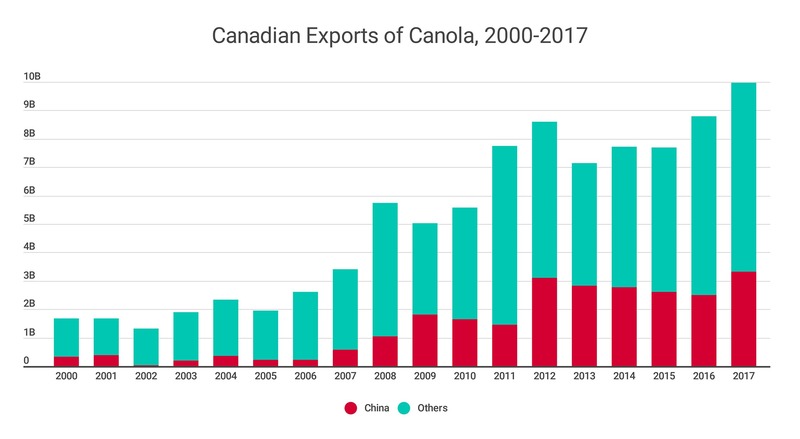 We’ve got updates on that, plus some good news for canola farmers, and some surprising data on Chinese foreign investment in Canada. Instead of a quote this time, I have a political cartoon from the Globe and Mail (see it here) that (painfully) summarizes Canada’s place in the China-U.S. Trade War. Since the news broke in early December that Canada had detained the CFO of Huawei upon request of American officials, the tension between the Canada and China could be cut with a knife. And there are no signs of this changing anytime soon. In a new development this morning, a Canadian has been sentenced to death in China on drug smuggling charges. On December 1st, the Chief Financial Officer of Huawei, Meng Wanzhou, was arrested in Vancouver for extradition on the request of American officials during a layover. Huawei is the “Apple of China’s eye,” and the arrest of Meng – not only the CFO, but the daughter of the founder of Huawei (who is also a military hero in China) – was not taken kindly by the Chinese government. Meng was arrested because American officials want her extradited, to stand trial on allegations of fraud in the United States (having to do with sanctions the United States has put on Iran). Because Canada has an extradition treaty with the United States, Canada was obliged to detain Meng once she reached Canadian soil. However, it seems the Chinese government is convinced that the arrest was unlawful and politically motivated. Unimpressed, to put it mildly. Shortly after the arrest of Meng went public, two Canadians were arrested in China: Michael Kovrig, a former Canadian diplomat, and Michael Spavor, a businessman. Their arrests have widely been seen as retaliation against Canada for arresting Meng. This has happened before as noted by former Canadian Ambassador to China David Mulroney who has drawn parallels to the detention of Canadian citizens as retaliation during his tenure during the Harper administration. Just this morning, a Chinese court sentenced a Canadian, Robert Lloyd Schellenberg, to death on drug smuggling charges. Mr. Schellenberg had previously been sentenced to 15 years on the drug smuggling charges, but was ordered to face a retrial. The case lasted one day, with the verdict and sentence delivered hardly an hour after the trial ended: the death penalty. There is speculation that the case has become political in light of the Meng arrest. Language directed from the Chinese government to Canada has been vitriolic as well. In the Hill Times last week, the Chinese Ambassador to Canada, Lu Shaye, accuses Canadians of “Western egotism and white supremacy” for wanting the Canadians arrested in China released, without being willing to release Meng. Yikes. It seems that China is directing most of its anger towards Canada over the matter, instead of the United States, which was the country that made the call to arrest Meng. Former ambassador David Mulroney said that China is using the tactic of “kill the chicken [Canada], scare the monkey [United States]”. From public commentators, has been wide-ranging. Gordon Ritchie, a former Canadian ambassador for trade, argues that the Canadian government has shown “astonishing ineptitude” in its relationship with the Chinese government, and that someone should have found a way to discreetly warn Huawei before Meng came to Canada, avoiding the whole problem. On the other side of the spectrum is Paul Wells with Maclean’s, who wrote an op-ed in response to Ritchie, his arguments “a doorway into a terrifying parallel dimension,” and is particularly miffed with his idea of warning off Huawei about Meng. David Mulroney, former ambassador to China, argues that this entire incident must make Canadians see China for what it is – a country that regularly uses tactics such as arbitrarily arresting foreigners as a means to achieve its goals. Meanwhile, the Globe and Mail editorial board waded in looking at the role that rule of law plays in this spat. • Winnipeg Sun, December 28: EDITORIAL – Expect Beijing’s bullying to repeat: this piece argues that this kind of reaction about Meng from China is not unusual, and that this should give us pause when thinking about a free trade deal with China. • The Province, December 14: Andrew Coyne – Let’s call China’s detention of Canadians by its proper name – kidnapping: Coyne argues that (surprise) the Canadians arrested in China were essentially kidnapped by the state, whereas the arrest of Meng was lawful. • Calgary Herald, January 7: Locked up in China – arrested Canadian says legal trouble followed him home: this article describes what being imprisoned in China was like for a man from Montreal, while making connections to the recent arrests of Kovrig and Spavor. • Even though things are tense now, there’s a positive sign on the investment front: The Institute of World Economics (part of the Chinese Academy of Social Sciences) ranked Canada as one of the top ten countries in the world for China to invest in, beating out the United States, ranked 14th (down from 4th last year). • There have been some huge shifts in Chinese foreign direct investment: investment in the United States fell by 83% (from $45 billion to $5 billion), but grew in Canada by 80% (from $1.5 billion to $2.7 billion) compared to 2017. • China and the United States have agreed to start a new round of trade-war negotiations – but the American government shutdown may cause problems. 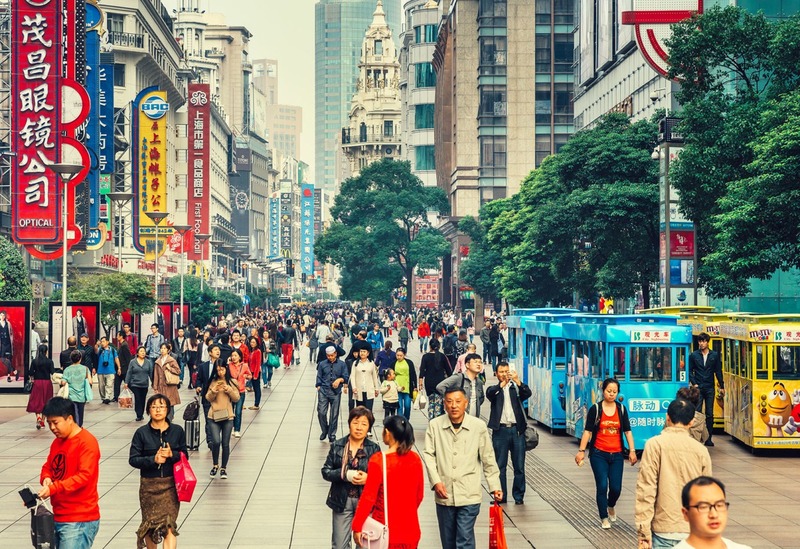 • This December report from McKinsey looks at how China’s “transition away from economic equilibrium” will impact global finance. • Great news for Canadian canola farmers: China just approved two new types of Canola seeds for use in China. There is one more type of canola Canadian farmers want China to accept. If it does Canadian farmers will be able to sell crops of these three varieties to China, which would grow canola sales to China by an estimated $400 million per year. • Agriculture Minister Lawrence MacAulay has said that the diplomatic spat with China should not affect agricultural trade with the country: even though there are tensions, China needs some of the things that Canada produces. • This report from the Centre for Strategic & International Studies shows how China secures the LNG that it needs – and how other countries, including Canada, are involved. • A new report – from the Global Commission on the Geopolitics of Energy Transformation – says that China is going to be become “the world’s renewable energy superpower.” Globally China is the largest producer, exporter, and installer of wind turbines, solar panels, electric vehicles, and batteries. • This year, China will launch a number of subsidy-free wind and solar projects (the industry in China is heavily subsidized, but this has been one of the bigger moves away from that). • And because I find this fascinating, two stories about China landing on the far side of the moon!